We have until June 30 to make sure our community gets important pedestrian safety resources. 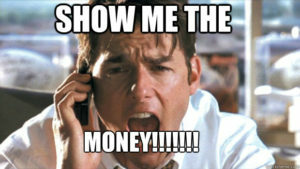 So, let’s bring some money for street improvements to our neighborhood. The City has set up a new program that lets neighbors vote on up to three street improvement projects that will be funded and implemented in 2018. Then please forward this email to your neighbors and share on your social networks to ask them to vote for more funding for our neighborhood. 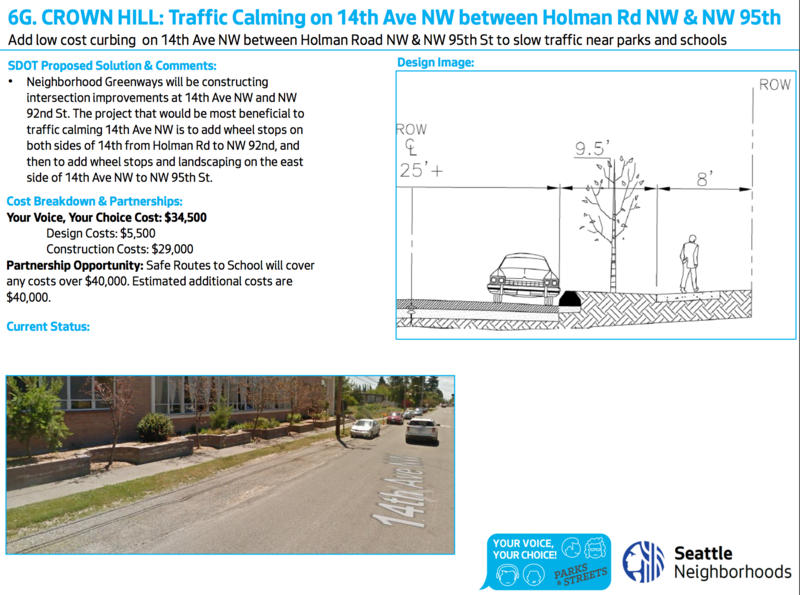 Project 6G, Traffic Calming on 14th Ave NW, is in the heart of Crown Hill Urban Village. It will help address urgent pedestrian safety needs on 14th Ave NW between Whitman Middle School and Crown Hill Park. The new North Seattle Greenway will cross 14th, and this project will help slow traffic along 14th between Holman and 95th so pedestrians accessing the greenway and the park are safer. We have learned that this project as scoped on the proposal is not final, and there will be a design and planning process that enables the neighborhood to make some modifications. The project also leverages other money that can come into the neighborhood from different funds, increasing the impact. If you don’t have a cell phone (or hate the idea of sharing it) contact Kraig Cook at Kraig.Cook@seattle.gov or 206.256.5944 for a paper ballot or a online voting verification code. Crown Hill Urban Village Committee for Smart Growth has requested paper ballots. Email us at info@crownhillurbanvillage.org if you would like a ballot from us, or are interested in distributing ballots and spreading the word at neighborhood events between now and June 30th.